For your small enclosure requirements we can either modify a standard product or design & manufacture a solution from scratch. Talk to us about what solutions we can offer. Our range of plastic enclosures ranges from very small utility boxes through wearable pendants and cases to hand held, instrument cases, wall mount and doored. 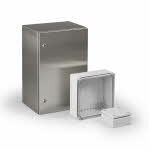 We can also offer robust enclosures for extreme outdoor and pole mount applications. Erntec’s range of subracks covers imperial and metric grids, low cost and high performance models and industry standard CompactPCI models. We are also very strong in the design and production of custom solutions for difficult requirements. From vents to mounting accessories to brackets. ERNTEC can provide all manner of accessories to complete your solution.